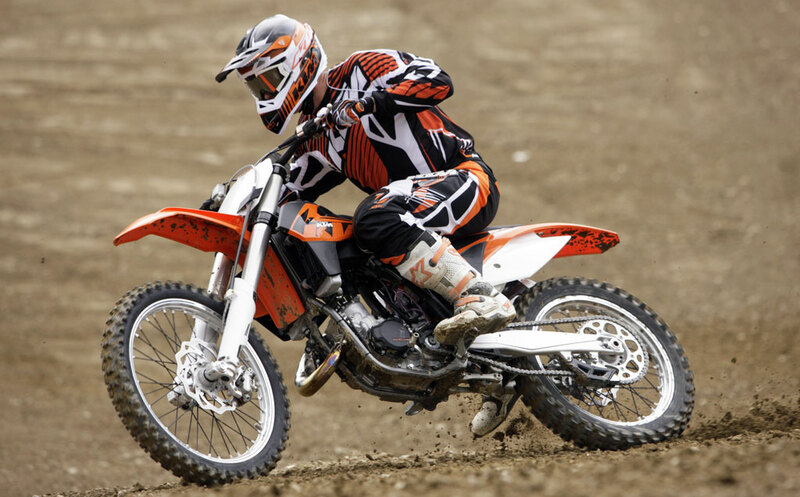 KTM has initiated a recall on 2013 two-stroke off-road motorcycles because of a problem with the throttle cable. The models affected are the 125 EXC, 125 EXC Six Days, 125 SX, 150 SX, 150, XC, 200 EXC, 200 XC-W, 250 EXC, 250 EXC Six Days, 250 SX, 250 XC, 250 XC-W, 300 EXC, 300 EXC Six Days, 300 XC, 300 XC-W, 85 SX, and 85 SXS. According to KTM, the throttle cable on affected models can get pinched between the throttle cable wheel and the top of the throttle housing assembly. This flaw may result in the loss of throttle control, increasing the risk of a crash. KTM says the problem was due to an improperly-produced upper throttle housing from a supplier. A replacement throttle housing has been designed to address the problem. Authorized KTM dealers will replace the throttle housing and the throttle cable wheel. The repair should take about 10 minutes and will be done free of charge to consumers. Customers are asked to visit the Service section of KTM’s website where they can enter their motorcycle’s 17-digit VIN to determine whether their bikes are affected by this or any other recall.